Another movie in queue to be ready inspired from book. This time famous novel writer and best youth writer's icon Chetan Bhagat's best selling book "The 3 Mistakes of My Life" is in lime lite. Story of three friends and is based in the city of Ahmedabad. 3 Idoits also adapted from Chetan Bhagat's book. 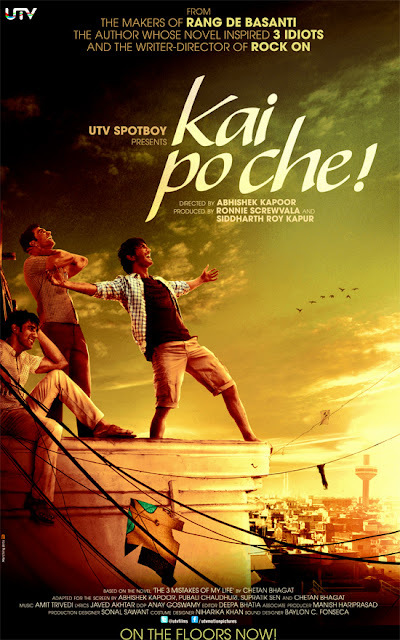 Tellywood star Sushant SinghRajput will in lead role for "Kai Po che" and Director is Abhishek Kapoor who had directed "Rock On". Music will be composed by Amit Trivedi who had given music for Udaan,Ek main aur ek tu etc..